This is an amazing dinner my husband made last night. I had bought earlier in the day Pacific Coho Salmon that we were looking forward to and the best California Organic Strawberries- not intended using them together. He came up with this recipe after having a brain storm. Mix all ingredients together except garlic. Saute Garlic in oil then add all ingredients in pan and simmer till it thickens. We baked our salmon be careful not to over cook then put strawberry sauce over the Salmon. 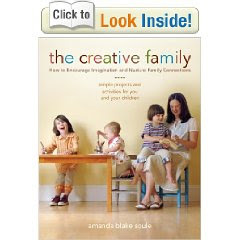 It is filled with fun ideas and projects. I think I am getting ahead of myself with my little boy he is a little too young. I can't wait till he is old enough to start getting him involved with art and craft projects. I am going to be trying the birthday crown and birthday garland this weekend. We have a birthday right around the corner. 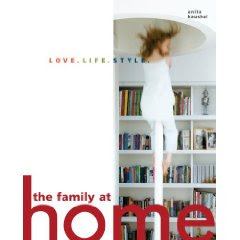 This book has really great photographs it shows you how you can have great interior spaces that work for grown ups but give little ones a wonderful, comfortable, and nurturing home. I noticed yesterday that the air is definitely smelling like fall. I have been so busy with birthday party planning, work and getting all the things done around the house before the snow starts to fly that I have not had a lot of time to blog. This is my favorite time of year where the temperature is perfect- warm day and cool nights. Apples, pumpkins and mums are all about. We went to pick up Mums yesterday and started putting away outdoor furniture. We are hoping today to go for a family bike ride it looks like the weather is going to be perfect for it. We will as usual be tackling the huge list of things that need to be done on the house. Antique fireplace mantel for the house. It needs a major cleaning, sanding, and repairing. And we are still working on finishing the stairs, laundry room, and sun porch. It is frustrating sometime for having to wait to do all the pretty thing. It seems like money and energy just goes into the items you do not see or are not the pretty things- Barn siding, insulation, window and door replacements, drywall and the list goes on. Our house is getting there slowly there never seems to have enough time in the week to finish all our projects. Unfortunately I want everything to be done at once, I am not a patient person. I sometimes have to stop and look back at all the things that have been accomplished since we bought our house a year ago. 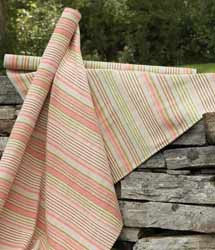 I just un-packed my first shipment of samples of Dash and Albert rugs. Yay! It is just like Christmas. 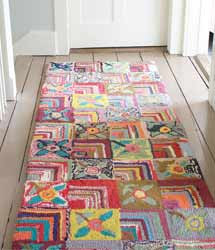 These cotton rugs are great there are so many colors to choose from. These would be great in a a lake house or beach house. I am debating to put this in my Living Room it is so much better in person. 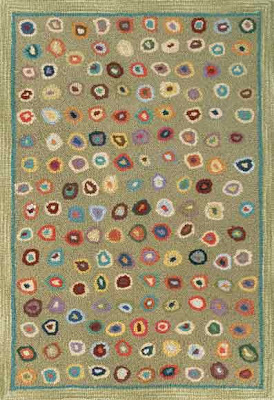 Gypsy Rose (below photo) is such a cool rug it is cotton loops! 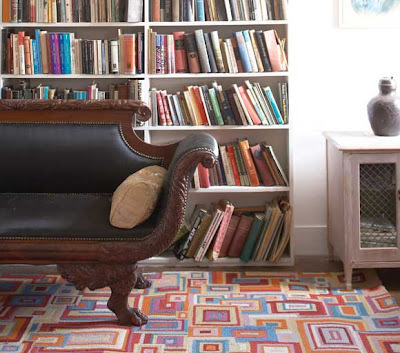 I really want to use this in the Play Room---- hmmm too many choices.